A gold medal won by the oldest women’s individual Olympic champion from the 1908 Games in London is to be auctioned. Sybil “Queenie” Newall remains the oldest woman to claim an Olympic individual title as she finished first in the double national round of female archery at the age of 53 years and 275 days at the Games in London. The item, which has a pre-auction reserve price of $14,000, is among a number of Olympic memorabilia which has been put up for sale by Boston-based RR Auction. The list also features a complete set of Winter Olympics participation medals, including rare 1924 Chamonix and 1932 Lake Placid medals. 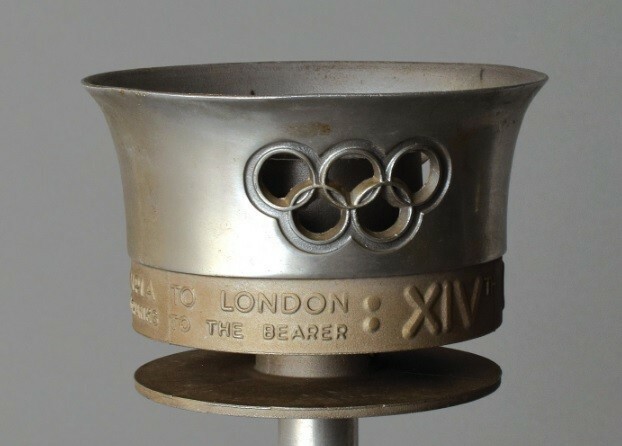 Olympic Torches from the 1948 Summer Games in London and the 1980 Winter Olympics in Lake Placid will also be auctioned. A near-complete set of Summer participation medals from 1896 to 2016 is also on offer, along with the Chain of Honor, worn by the International Olympic Committee members at the 1936 Berlin Games. Newall’s gold medal was designed by Bertram Mackennel and manufactured by Vaughton & Sons in England. The front features a victorious athlete being crowned with a laurel wreath by two seated females, while the reverse depicts St. George, the patron saint of England, slaying a dragon as a goddess looks on. 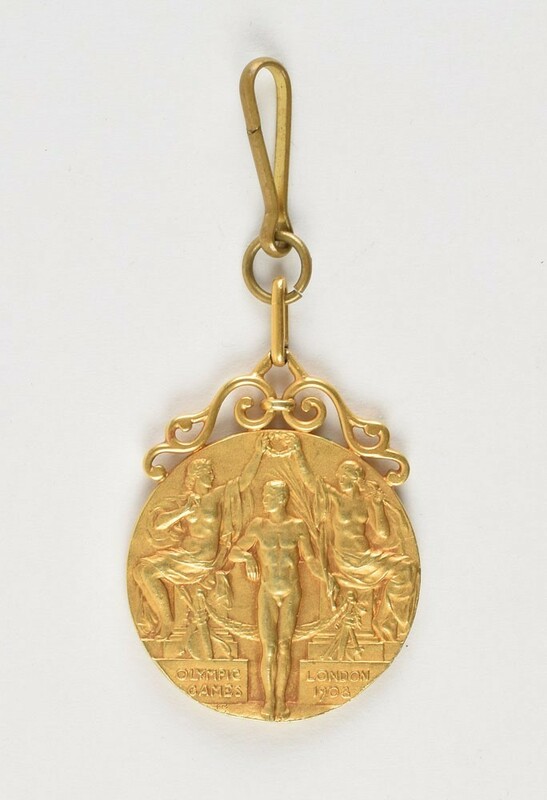 “Given that only 250 of these pure gold prizes were struck in 1908, this is a remarkable and exceptionally scarce winner’s medal commemorating Great Britain’s triumphant first outing as an Olympic host city,” said Bobby Livingston, executive vice-president at RR Auction. Hosts Britain claimed a total of 146 medals at the 1908 Games as they finished comfortably at the summit of the medals table. The United States Britain’s nearest challengers with 47, while Sweden were third on 25.